A lot’s been said about small-boat handling. Unfortunately, because of the nature of the beast, whatever anyone says is likely to be at least a little bit inappropriate, at least sometimes, depending on the circumstances. I’ve been handling small boats for well over 50 years. I know that whatever I say about the subject will suffer the same infirmities, but here are a few general comments addressing some of the issues I frequently see. There are many more. When under way, the bow shouldn’t be down. More and more we’re seeing people running boats with the bow down. Not only does running bow down promote waves flooding in over the bow; it also makes the boat less stable as it runs and more difficult to steer. One thing that may be contributing to this is the proliferation of bow riders. These may have a tendency to influence some folks to put too much weight forward. To make matters worse, some bow riders can be like a big spoon, just scooping water in when the waves come. But we can’t just blame this on the type of boat. The folks aboard, or at least the skipper, also need to know what they’re doing. 3. It isn’t necessarily best to meet waves bow on. Often this results in the wave coming aboard suddenly as a large volume of water. This will depend on your boat, the speed you’re running (which should normally be relatively slow if you’re encountering waves), and the boat’s buoyancy and other characteristics. Generally, it’s best to take incoming sea to the port or starboard side just aft of the bow rather than dead on. This allows that broader and hopefully more buoyant hull section to meet the rising water, and it’s far forward of taking it on the beam, which could flip you. Also, if you take it dead on the bow, you’re more likely to have that narrow bow, which is designed to cut through the water, cut through the wave and not rise as much as is needed, allowing the wave to board you. Exactly how far aft of the prow you take a wave will depend on all the variables and will even change with such conditions as wave height and boat type and loading. But as you grow accustomed to your boat, you should get a good feel for this. A surprising number of small boats (and also quite a few larger ones) are swamped when a sea comes over the stern. Normally, the top of the stern is lower that the top of the sides in other areas around the boat. This is made more so by a cutout for an outboard. Also, it’s often open to the cockpit or interior of the boat, unlike the bow area, which may have at least a small deck or covering to help deflect waves from coming down inside the boat. One common cause of getting swamped, as you might expect, is overloading astern. It’s natural to move people and other weight back there because it’s wider and seemingly more stable. And, some might say, even a greater degree of care. You must, while keeping lookout all around as you would normally, also keep a watch astern for the oncoming following sea. Often you’ll need to throttle up or down to keep the boat in a safe position relative to the sea and to avoid potentially disastrous consequences as it reaches the trough and encounters the next wave. For example, in high seas you don’t want to fall over the crest and drop bow first into the trough. If this happens, the bow may dig into the next wave or the boat may slide down, beginning to turn sideways and flipping. If the bow digs down into the sea as it meets the next wave, this could cause catastrophic flooding or cause the boat to lip either to the side or stern over bow or somewhere in between. Usually these things are more likely to occur when you’re running too fast for the conditions, but they can also occur, given the right circumstances, at relatively slow speeds. 6. It’s commonly understood that we should avoid running or even drifting with seas on the beam. But unfortunately, there are occasions when we need to do this, at least for a short while. If the seas are breaking or very big for the boat, you should figure some other way to handle the situation and not run with seas on the beam. But if it’s critically necessary to run for a while with a beam sea, watch the seas very carefully and be prepared to turn into a wave that looks like it’s going to break or be large enough to upset the boat’s stability. On some boats, you can dampen the rolling and help with stabilization by the way you steer. Turning slightly into or out of the wave, at just the right time and just the right degree, can help keep the boat on a more even keel. Like so much of boat handling, this requires a lot of practice and familiarity with your boat and its characteristics. Learn, but not at the expense of capsizing. 7. Don’t travel in limited visibility unless you really need to. Know what you’re doing, have appropriate navigational tools for the conditions, have all of your nav and instrument lights working, know the territory well, travel slow, and keep careful watch for others traveling. This could include boats traveling unlit at high speed and possibly with impaired operators. Have at least one other person to help who is also not impaired. While there are many very good general principles and concepts about small-boat handling (and handling of any boat), there are so many variables that it’s difficult to cast anything into cement. Variables can include different types of boats, different types of boat conditions, different types of power configurations, different sea conditions, different weather conditions, different degrees of visibility, different sets of operator knowledge and skills, and much more. So don’t take anything I’ve said here as gospel, and realized that I’ve hardly scratched the surface as to skills that you need to safely handle a small boat. There are many more issues of equal and greater importance. 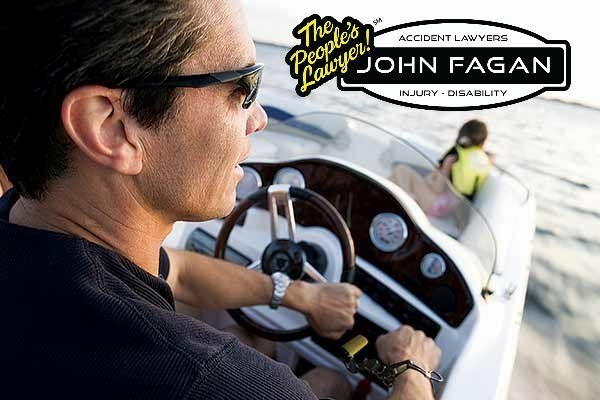 You need to learn to handle your boat on the water, practicing safely as you learn. Like learning any skills, it takes time. But it’s worth it.